NEW YORK -- Two prospects -- Nate Scantlin of the Cincinnati Reds and Carlos Caminero of the Atlanta Braves -- were suspended for violating the Minor League Drug Prevention and Treatment Program, the Office of the Commissioner of Baseball announced Friday. Scantlin received a 50-game ban without pay following a second positive test for a drug of abuse. 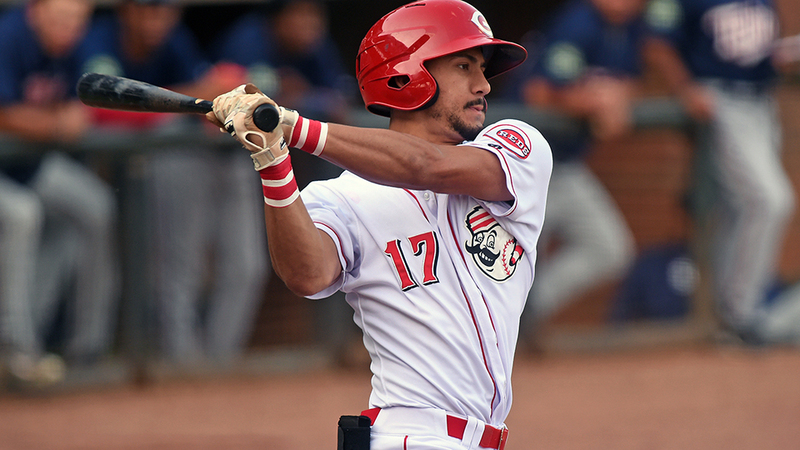 The 19-year-old outfielder is set to begin his third professional season in the Reds organization since being selected in the 15th round of the 2017 Draft. He appeared in 17 games in the Rookie-level Arizona League in 2017 and hit .170 after being drafted out of Rose Hill High School in Kansas. Scantlin was promoted to the Rookie-level Appalachian League to start last year and was called up at the end of the season to Class A Daytona, where he appeared in three games. He batted .231/.341/.299 with eight extra-base hits, 14 RBIs and 26 runs scored in 51 games across the two levels. Caminero was suspended 25 games without pay following a first positive test for a drug of abuse. The 21-year-old left-hander also is set to begin his third professional season. He signed with the Braves as an international free agent out of the Dominican Republic in September 2016 and spent the last two years in the Rookie-level Dominican Summer League. In 2018, he made 17 relief appearances and posted a 1.87 ERA and 1.34 WHIP while striking out 40 over 33 2/3 innings. Scantlin and Caminero are the first players suspended in 2019 for violating the Minor League Drug Prevention and Treatment Program. A total of 75 players received suspensions last year.